Companies are losing out on the high value of quality veteran talent, however, when they do not take the proper veteran-specific steps to prepare, assess and follow up with military-experienced candidates. In every important way, veteran job candidates are like any other human, but unlocking their special and extraordinary capacity to contribute to a new organization requires effort and insight.One model for successful veteran interviewing is defined by the acronym PAF: Prepare, Assess and Follow up. This article examines the first step: Prepare. During the Prepare phase, the interviewer reviews the organization's driving purpose in hiring veterans, checks his or her bias regarding veterans and seeks to understand the true success drivers for the position. Most interviewers skip the first step, but it is critical to understand the underlying motivations for the organization's veteran hiring initiative. Is there a sincere commitment to veteran abilities and experiences, or is there more of a political climate of insincere appearances? Some organizations feature a wide range of sometimes conflicting motivations, but the skilled interviewer will seek to understand the "why" and not just the "what" of the initiative. Only by understanding the organization's purpose will the interviewer be able to interpret levels of tolerance for training and acculturation. The interviewer need not understand every line in a military résumé, but the veteran candidate will appreciate some basic understanding of general terms and experiences. Some civilian interviewers don't understand the difference between a submarine and a U.S. Marine. Your organization can designate one or more internal veteran resources to serve as sounding boards. 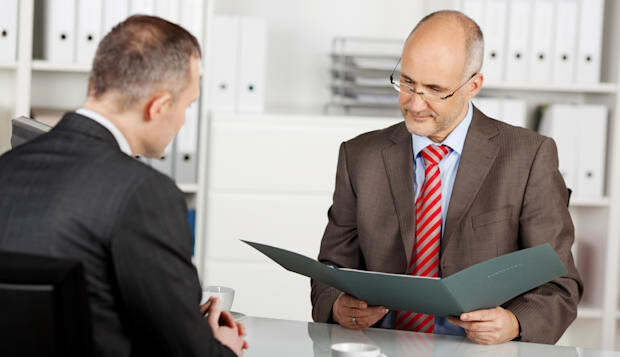 Most veterans can explain the general background of another veteran's résumé or at least help the interviewer prepare a few good clarifying questions. Open-ended questions followed by polite clarifying comments can help structure the portion of the interview about military experience. For example: "Please walk me through your military experience from your enlistment through your initial training and your ultimate assignment to a field unit. I am eager to understand why you did the things you did and what you learned from each experience." If the candidate uses jargon you don't follow, it is perfectly all right to ask for a clarification. For example:"I am sorry, I am not sure I understand what a Boatswain's Mate does; can you explain?" Finally, the interviewer must seek to have a deep, intuitive and clear understanding of the "real" job requirements. Most organizations publish multiple-page job descriptions that contain requirements for skills and certifications that have little to do with the task at hand. Experienced hiring managers and recruiters compensate for this verbosity with a short-hand understanding of the true needed skills and attributes. For example: "The customer-service manager really needs to be good with people and motivating his team on a daily basis, even while being regularly berated by obnoxious customers." When properly understood this way, it quickly becomes clear how an infantry squad leader who led patrols day after day in hostile territory while maintaining personal and team morale would likely excel in the job. Armed with the preparation steps detailed above, an organization's interviewer is ready to conduct the meeting and assess the qualifications of the veteran applicant in a way that is effective, accurate and most likely to result in the desired outcomes. The next article in this series will tackle the "Three A's" of Attitude, Achievement and Ambition when evaluating a veteran candidate. Peter A. Gudmundsson is the president and CEO RecruitMilitary , a 16-year-old company that helps organizations excel by leveraging the talent of veterans. RecruitMilitary helps companies attract, appreciate and retain high-quality veteran employees and students. Most of Gudmundsson's career has been dedicated to leadership in media, education, information and intellectual property intensive businesses. He has run a diverse range of companies and was president of Jobs.com and Primedia Workplace Learning. Earlier in his career, Gudmundsson also served as Vice President of Corporate Development for Primedia Inc., KKR's media company, in New York. A former U.S. Marines field artillery and intelligence officer, Gudmundsson began his civilian career as an investment banker at Morgan Stanley. He is a graduate of Harvard Business School (MBA) and Brown University (B.A. ).